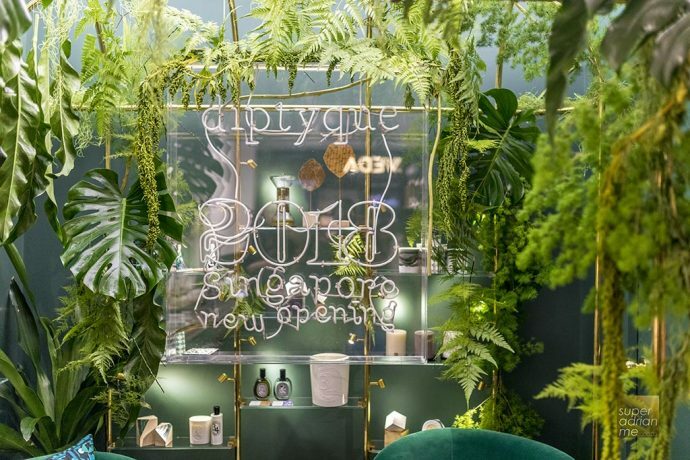 Diptyque Paris opens its first store in Singapore. The 423 sq ft boutique is located at B1-33A of Ngee Ann City. The deep, warm green in the store offers the vibe of nature. An alcove in the back of the store with taut velvet armchairs takes on the appearance of a gazebo similar to the ones in parks. The motif evoking an interwoven multitude of the brand’s iconic ovals are visible throughout the store. 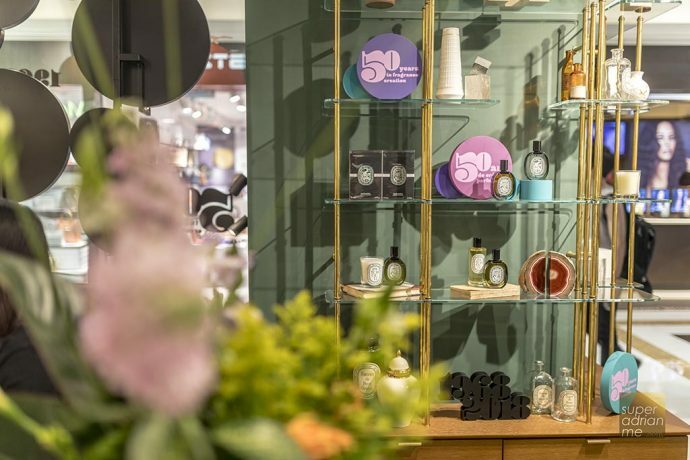 This new store carries a range of home fragrances, scented objects, candles and skin care products. 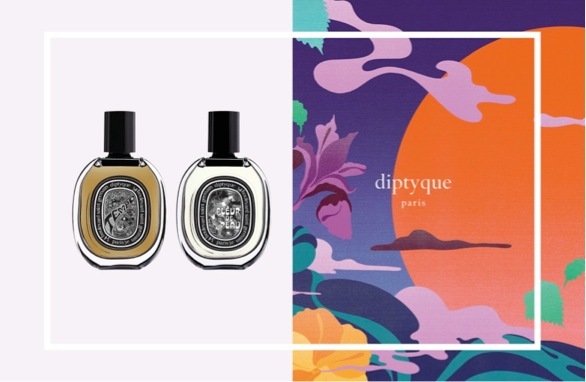 Diptyque celebrates 50 years of fragrances. It launches two new creations – Tempo and Fleur de Peau, the 36th and 37th opuses in a constantly flourishing repertoire. Diptyque revisits the patchouli theme with Tempo, combining three different extractions. Fleur de Peau explores the smell of skin – musk. It opens with Italian notes of mandarin orange and bergamot and a dash of pink peppercorns that hover between petals and seeds. Tempo and Fleur de Peau are developed by perfumer Olivier Pescheux and each 75ml Eau de Parfum are priced at S$225 each. The Diptyque boutique is located at Takashimaya Shopping Centre, 391 Orchard Road, B1-33A, Singapore 238872 and operates daily from 10am to 9.30pm.